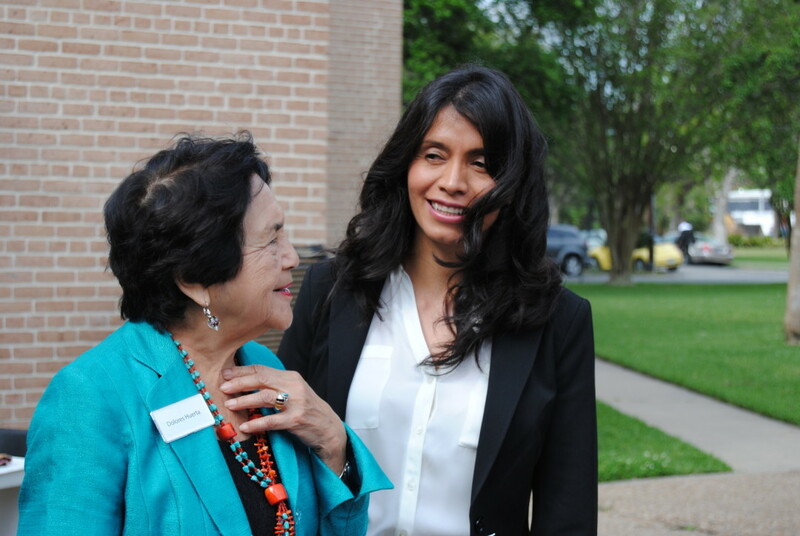 In the spirit of its socially progressive patrons Dominique and John de Menil, the Rothko Chapel presented its Óscar Romero Award to Mexican labor activist Blanca Velázquez Díaz in a ceremony Sunday afternoon. Díaz received the twelfth Óscar Romero award given out by the Rothko Chapel since 1986. Dolores Huerta, who co-founded the United Farm Workers with César Chávez, presented the award. Díaz is the director of the Centro de Apoyo al Trabajador (Center for Workers Support, or CAT). Since the group was founded in 2001 she and other labor rights activists have frequently received death threats. In her emotional acceptance speech, Díaz dedicated the award to CAT human rights defender Enrique Morales Montaño, who was kidnapped and tortured by four masked men last year in Puebla, Mexico. The Rothko Chapel named the award after Archbishop Óscar Romero of El Salvador, a vocal critic of the military junta that seized control of the country in 1979 with American assistance. Romero became a hero to poor and repressed groups, but also clashed with the Salvadorian government and the Catholic Church. The archbishop was killed while leading mass in 1980 by an assassin who fired from the door of the chapel. No one was ever prosecuted for the murder, which was widely blamed on a right-wing death squad. The Rothko Chapel was crowded with attendees, who gave standing ovations to both Díaz and Huerta. The audience chanted “Blanca! Viva!” and a familiar Mexican celebratory chant—“A la vio, a la vau, a la bim bom bam! Blanca! Blanca! Ra ra ra!”—as Díaz finished her speech, misty-eyed but with a small, defiant smile.